A Western star at Universal during the silent era, Jack Perrin successfully transitioned to sound when the talkies arrived. This set compiles 8 of his movies from that era on 4 DVDs. A Western star at Universal during the silent era, Jack Perrin successfully transitioned to sound when the talkies arrived. 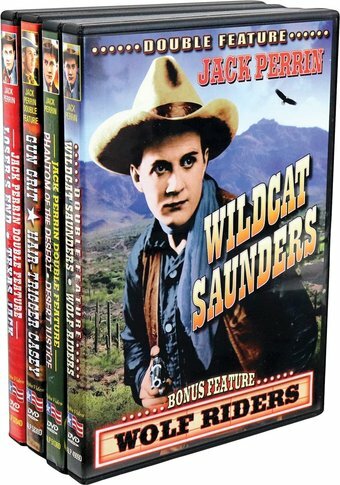 This set compiles 8 of his movies from that era on 4 DVDs: 'Phantom of the Desert' (1930), 'Loser's End' (1934), 'Wolf Riders' (1935), 'Texas Jack' (1935), 'Half-Trigger Casey' (1936), 'Wildcat Saunders' (1936), 'Desert Justice' (1936) and 'Gun Grit' (1936).